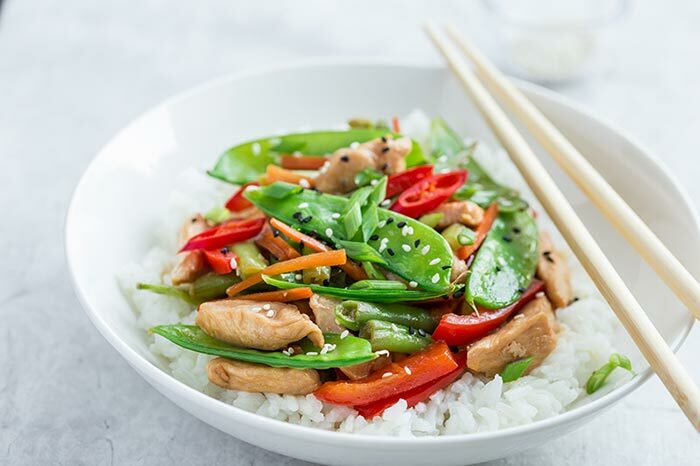 Try using a small amount of lower salt soy sauce, and flavouring with other low salt ingredients, to make a delicious quick stir-fry. In a large frying pan or wok, heat half the vegetable oil and sesame oil until hot. Disclaimer: This recipe may not be suitable if you are on dialysis, have low kidney function or have been given specific dietary or lifestyle advice from a healthcare professional, please check with your healthcare professional to see if this recipe is right for you.